Are you ready for the #31DC2015?? - Polish Etc. Are you ready for the #31DC2015?? Tomorrow starts the first day of the 31 Day Nail Art Challenge. 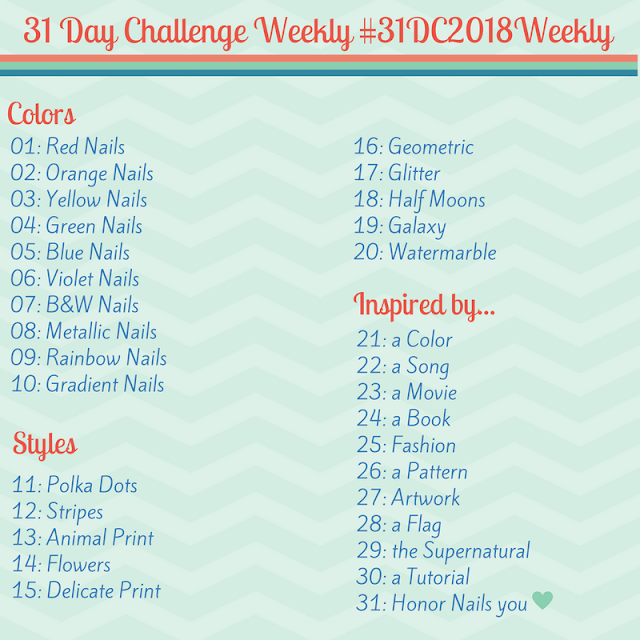 This is a grueling challenge of creating a nail art look each day for 31 days following a set of prompts. I first tried to finish this challenge in 2013 but fell off the wagon after week 3. I was a little upset with myself for quitting. Then, last year, in 2014, I finished the entire challenge for the first time! Woo Hoo! I shared all of the challenge manicures here on the blog and on my Instagram. I was so stinkin' proud at the end of last years challenge. The glow of accomplishment beamed from my face. I hope to feel that same pride this year. I am a little nervous though, as I am reviewing a great deal more collections this year than I was last time around. Hopefully, I can keep up with both the swatches and the nail art. With that in mind, you will likely be seeing many more posts from me in September. I may even share two posts a day, one for a collection review and one for the nail art challenge. Last year, I did weekly recaps. I will definitely do those recaps again this year but will also try to share individual manicures on the days they are due. I will always be posting my #31DC2015 mani on my Instagram account daily, so feel free to follow there to make sure you see each and every one. Who's with me on this epic journey?!?!? 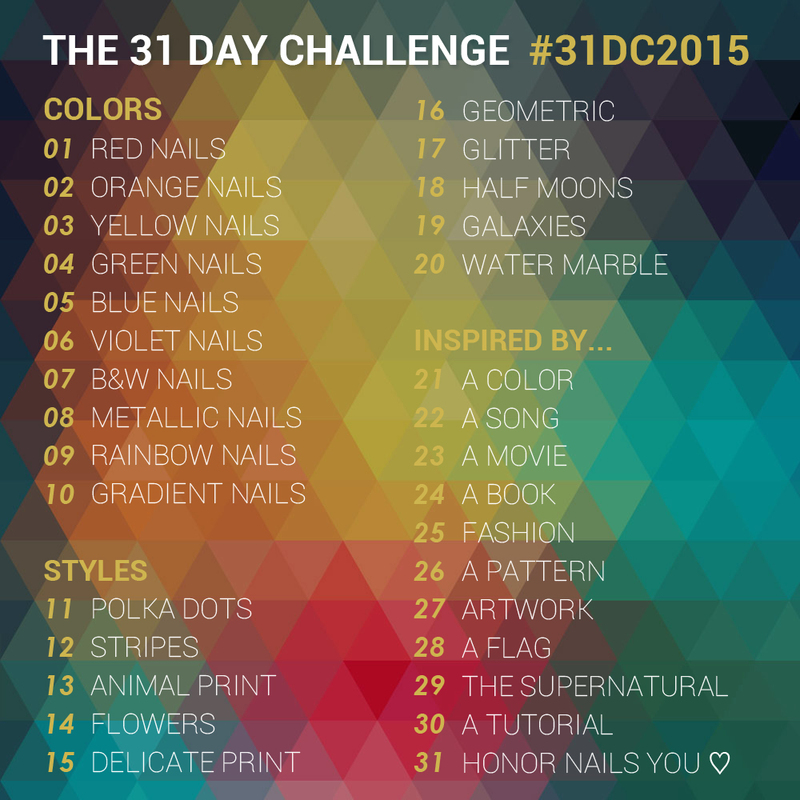 Learn more about the #31DC2015 here on Sarah's blog, Chalkboard Nails. And check out the daily prompts below. You can do it at any time and at any pace. I know plenty of people will change the days into weeks. So week one, Red nails. It breaks it up.